Tuesday, September 25, 2018 Boston, MA — Today marks the launch of "I Think This Is Great! with Clay N. Ferno" podcast on Apple Podcasts, Spotify, Google Play, Stitcher, TuneIn or wherever you get your podcasts. #ITTIGPOD is free and available for streaming or download at http://www.ithinkthisisgreat.com/ now. 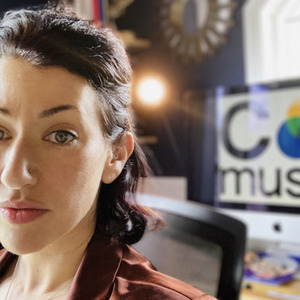 Season 1, Episode #1 (S1E01) of this productivity, wellness and creative inspiration podcast is an interview with LJ Malberg, the Compassionate Muse. This executive coach shares her inspiring journey about redefining compassion in the workplace. Clay and LJ talk about listening, offering feedback and asking permission to give feedback. The goal of "I Think This is Great! with Clay N. Ferno" is to motivate and inspire and LJ's story is one that needs to be heard. The mission statement of #ITTIGPOD is simple. The podcast is about connecting with people about stuff that is great and the great things these people do! "I Think This Is Great! with Clay N. Ferno" is an interview podcast about people doing and being their best. The talk revolves around, but is not limited to, compassionate work, working on teams, getting over hurdles and doing great things even when the chips are down. This is part productivity podcast, part interview show, and a place where creativity is celebrated from fascinating people. Today marks the culmination of nearly a year of preparation and (re)learning about podcasting from the ground up for the host of the bi-weekly program. 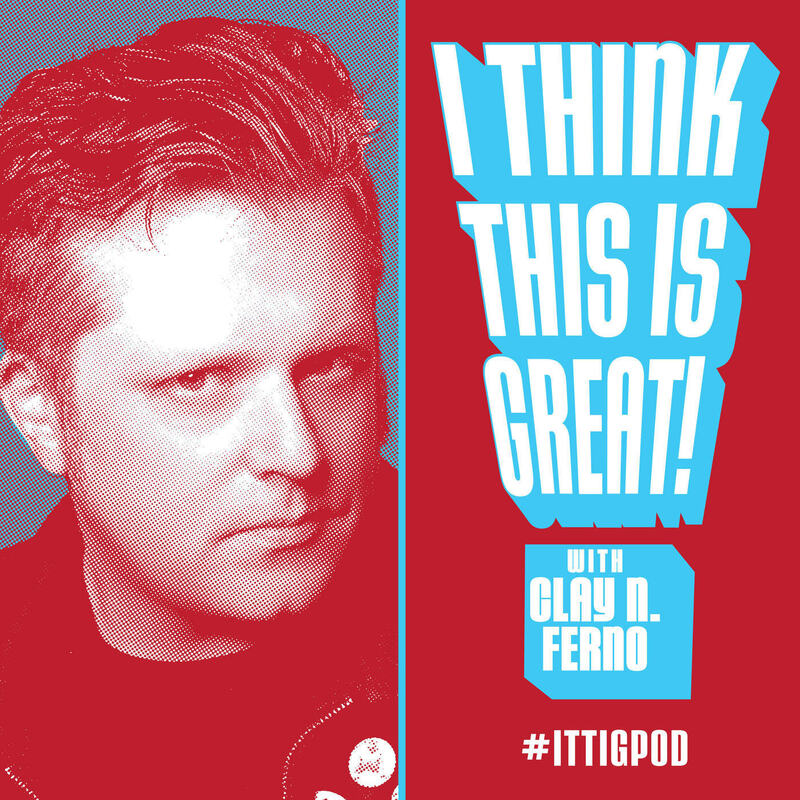 Listeners can subscribe at http://www.ithinkthisisgreat.com/rss or search your podcast player of choice. #ITTIGPOD endorses the use of overcast.fm for iOS podcast subscriptions. Support #ITTIGPOD on Patreon at https://www.patreon.com/ithinkthisisgreat. Find a follow up call and bonus "After Dark" episode on Patreon and ithinkthisisgreat.com for the first episode. SUBSCRIBE: https://ithinkthisisgreat.com or search "I Think This Is Great" in your podcatcher of choice. Clay N. Ferno is a social media and music-business professional living in Boston, MA USA. Accomplishments include landing on the cover of The Boston Phoenix in 2005 for being the ‘Most Popular Man in Boston’ — according to the social networking site MySpace. In 2015 he interviewed Stan “The Man” Lee for a DigBoston cover story. He spends his time producing concerts and live podcast events when he’s not chasing a deadline. 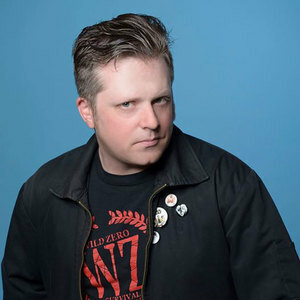 Clay is one of the co-hosts of weekly pop culture podcast at LeaguePodcast.com. #ITTIGPOD is a topical departure from media covered at the LeaguePodcast network (recently The League celebrated the highly anticipated return of Curb Your Enthusiasm with #CURBCAST). Get caught up on nearly 350 episodes about comics and so much more over at http://leaguepodcast.com/jumpingon. Hi! My name is LJ Malberg and I am the Compassionate Muse. I am an organizational design consultant, trainer and executive leadership coach and CEO of The Reliance Company. I believe that leading with compassion creates the most successful work environments and contributes both to the welfare of the individual and continued growth to the organization's bottom line. There are countless studies that prove that happy workers are far more productive, inclusive contributors to their companies than their unhappy counterparts, and that these positive behaviors spill over affecting home and family life as well. We live in a precarious time where compassion is needed now more than ever, and my work is to spark change in the way organizations and individuals work together. The host wishes to take this rare launch day opportunity to thank and acknowledge the following people and services that have made this day possible. To Stacey who deals with the piles of books, comics and boom mic stands in our tiny Brighton apartment. To LJ, who is more than the spirit of #ITTIGPOD, more like direct inspiration. To all of my guests in Season 1, recording has been such a joy. To Sam Furst from Monsters are Good. for making me look great! To Cooper and House of Harm for offering tracks for the intro music. To our first sponsor, MMMMAVEN, a place where creativity blooms. To Dan Benjamin at fireside.fm for making a sensible and professional podcasting CMS that works better than I could have imagined. To Pat Flynn and Power-Up Podcasting (and I'm not just saying that for you to force a passing grade)! And to you, the listener if you are family, friend or perhaps foe, please spread the word on this show! CLICK TO TWEET ABOUT THIS EPISODE! — I am listening to "I Think This Is Great! with Clay N. Ferno" on #Podcast #LaunchDay! Mmmmaven courses specialize in teaching the details that define digital music. Offering hands-on exposure to the many facets of music production; our state-of-the-art labs are outfitted with advanced software and technology such as Ableton Live 9, Logic, Serato Scratch Live, Traktor Pro. Seasoned instructors join our classrooms straight from of the club, imparting the wisdom of experience and the tricks of the mix.